Great news coming from Germany: the new car market is back into positive territory, up 2% year-on-year in July to 253,146 registrations, which brings the year-to-date total to 1,755,776 units, down 7% on 2012. For only the second time so far this year after April, Volkswagen monopolises the German models ranking podium, with the Golf in the lead at 18,884 units and 7.5%, followed by the Passat with 7,656 sales and 3% and the Polo at 6,650 units and 2.6%. 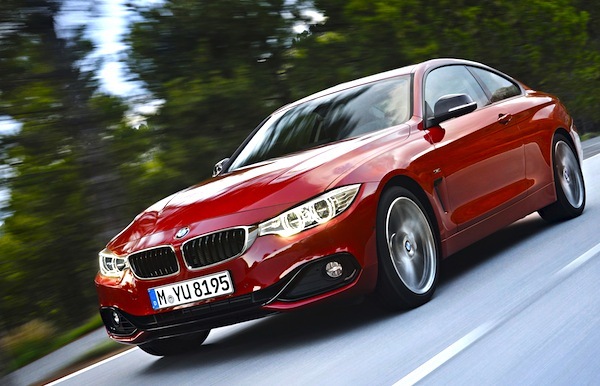 The BMW 3 Series ranks 4th at 2.3% but keeps its third place year-to-date. 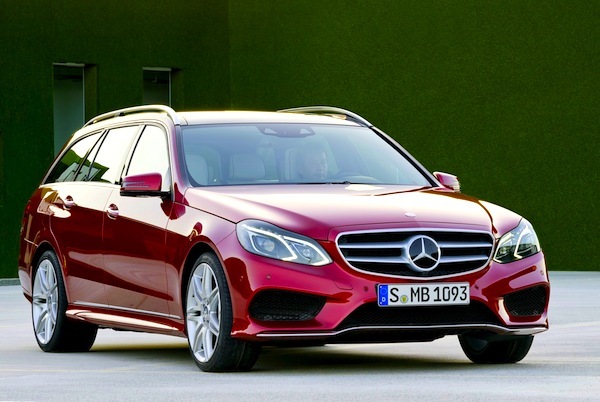 Like last month, the best performer in July is the Mercedes E-Class: boosted by the new model, it is up a further 3 spots to #5 thanks to 5,537 sales and 2.2%: its highest ranking in Germany since October 2010! Notice also the Audi A6/A7 up 6 ranks to #15, the Opel Adam up 7 to break into the German Top 30 for the first time at #26, the Mercedes S-Class up 86 to #120 thanks to the new generation and the Nissan Leaf up 84 to #153. 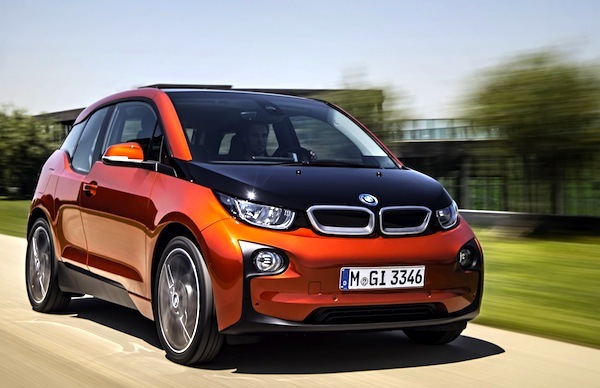 …as does the BMW i3 at #253. There are only 5 foreigners in the Top 30 like in June, however the Top 4 belong to the Volkswagen Group: the Skoda Octavia (#18), Fabia (#23), Seat Leon (#25) and Ibiza (#28), leaving only the Fiat 500 at #30 with 2,536 sales as the sole ‘true’ foreign model in the German Top 30 in July… There are 8 more inside the Top 50, including the Renault Megane at #36 (+22), Renault Scenic at #37 (+29), Renault Twingo at #41 (+35) and Dacia Sandero stable at #44. 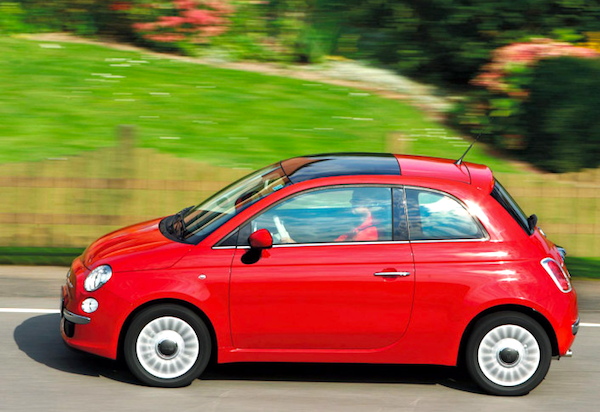 The Fiat 500 is the only ‘true’ foreigner in the Top 30 this month. As far as newcomers are concerned, the Mercedes CLA-Class is already down 4 ranks to #56, the Renault Captur is up 11 to #83, Peugeot 2008 up 24 to #85 and Chevrolet Trax up 28 to #101. Finally the two all-new models making their very first appearance in the German ranking this month are both BMWs: the BMW 4 Series lands at #197 with 104 sales and the i3 arrives at #253 with 23 units sold. Full July 2013 Top 296 All-models and Top 50 All-brands Ranking Tables below.